Welcome to the 2019 Season!! 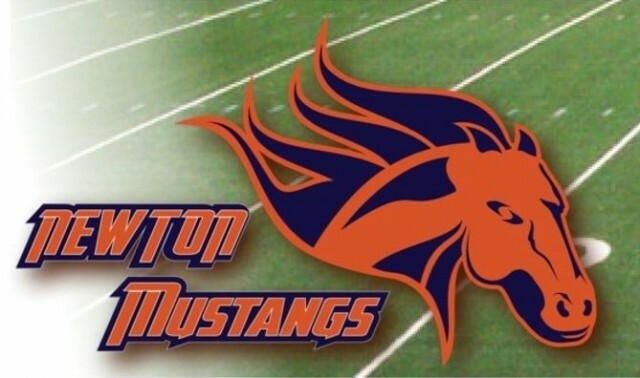 Updated Saturday February 9, 2019 by Newton Mustangs Youth Football & Cheer. We are excited for another season of Newton Mustang Youth Football and Cheer and are looking forward to your participation! This year, registration will occur using our on-line system. Registration for football and cheer is currently open! Jersey sizing will take place at the April 7th Skills/Drills event. Deadline to register in order to receive player name on back of new game jersey is JUNE 1st. Any registrations after that date may not make the print deadline and will play with a jersey with no name. Signup fees will be capped at $600.00 for families with multiple participants. This fee does not cover any travel costs associated with AYF playoffs. Visa, MasterCard (credit or debit) are accepted forms for payment. Parents, please note: Sign-up through the on line system is just one part of the registration process. Please start that process now using the link on the left "Registration"! Submission of required paperwork (including signatures) and documents. Instructions for completing all paperwork will be found on our website and will be sent to you via email after on-line sign up has been completed. Not all paperwork can be completed at the time of sign up (for example, a final year-end report card is necessary to demonstrate eligibility), so this will be collected closer to the start of the Fall 2019 Football Season. Participants will not receive their equipment/uniforms until the entire registration process is completed. External links are provided for reference purposes. Newton Mustangs Youth Football & Cheer is not responsible for the content of external Internet sites. Copyright Newton Mustangs Youth Football & Cheer All rights Reserved.